If two people do exactly the same job it’s reasonable to assume they’d be paid identically. Yet as TV’s gender pay gap scandal confirmed, very often that’s not the case. 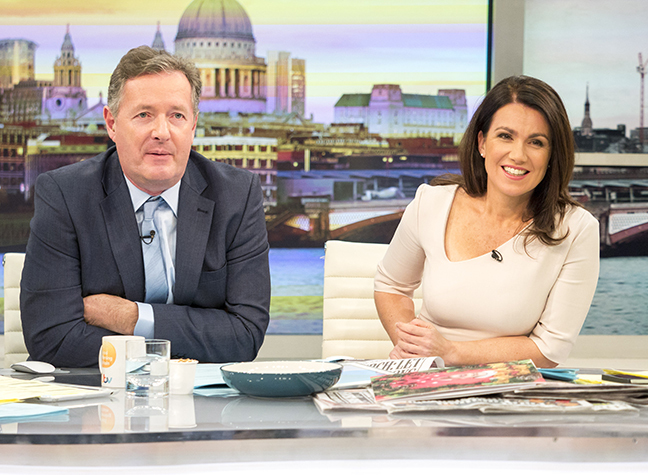 Good Morning Britain presenter Piers Morgan says he believes his co-host, Susanna Reid, wouldn’t actually mind if she discovered he was out-earning her. “I have no idea what [Susanna] is paid,” Piers told ES Magazine. Since Piers, 52, joined the breakfast show in October 2015 Good Morning Britain‘s audience has risen by 24%, regularly peaking at over one million viewers. presenting style requires some balancing – and that’s putting it mildly. When the news of the TV pay gap broke it revealed that the BBC’s highest-paid male star, Chris Evans, earned a whopping £2.2 million last year, while its highest-paid woman, Claudia Winkleman, made just £450,000.